It’s been a great week here at JC Towers with the news we’re finalists in this year’s The Drum’s Network Awards. The awards celebrate the work of agencies in the marketing sector which, of course, includes social media. We’re not shortlisted for just one award, we’re up for three! Firstly, JC Social Media has been shortlisted for social media campaign of the year for our work on the British Ethnic Diversity in Sports Awards (BEDSA). This campaign secured huge levels of social media and press exposure including slots on SkySports News and the BBC online. Secondly, everyone’s favourite social media trainer, our David, has made the shortlist for rising star in an agency. David’s phenomenal success during the last 12 months has seen him flown to Facebook HQ and appear on Good Morning Britain as well as a host of live radio interviews. David is one of the leading social media trainers in the UK and delivers training sessions and consultancy to brands large and small, always generating rave reviews. 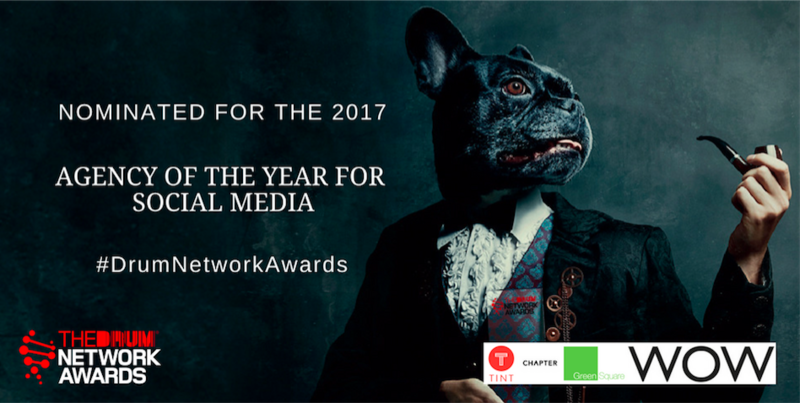 Lastly, but not least, JC Social Media has been shortlisted for agency of the year for social media against just five other finalists. This is a highly coveted category, seeing the best social media agencies across the country celebrated for their exceptional work. Of course, all of this success is a huge testament to the hard work of the JC team and the great clients who we work with.